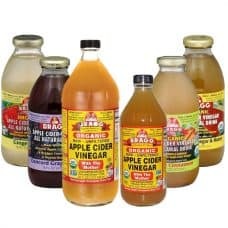 Apple Cider Vinegar or ACV are vinegar made from apple. 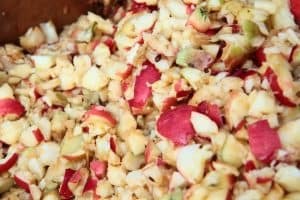 Whole apples are crushed, mixed with yeast that ferments the apple sugar and turns them into apple alcohol. 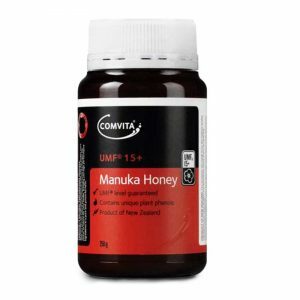 High-quality Apple Cider Vinegar contains potassium, amino acids, and anti oxidants. 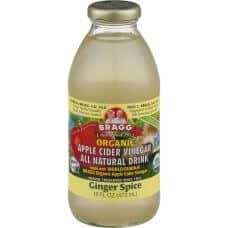 Organic unfiltered apple cider vinegar (Dr Bragg’s) contains “mother”, strands of protein and enzymes and good bacterias. Dilute 1 tablespoon (about 15grams or 0.5 oz) of apple cider vinegar in a glass of water (8 ounces or 240ml). This will make a refreshing and great tasting drink. You can have it as a hot drink or as an iced cold drink. Drink it 2-3 times a day to reap the health benefits of apple cider vinegar. For an external application such as on your hair, or skin care facial mask, you may add equal part apple cider vinegar to equal part water for an ACV solution. Keep your hair and skin glowing and shining!